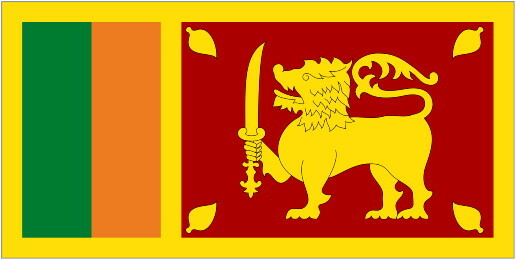 Sri Lanka: Animal Welfare Bill Not Yet Enacted After More Than A Year – Lets Get It Enforced ! The Animal Welfare Bill was approved by the Cabinet on 13 January 2016, but one year later it has not yet been enacted by Parliament. After almost a decade of tireless campaigning, and several appeals from animal welfare groups and 30,000 citizens including you, the Animal Welfare Bill was finally approved by Sri Lanka’s Cabinet on 13 January 2016. The Bill was originally presented to Parliament by Ven. Athuruliye Rathana Thero in 2010 as a Private Member’s Bill in an attempt to persuade the then government to take it up as government business, but there was no progress. In 2012, through a court case, animal welfare groups were able to draw the attention of the government to this Bill, yet the progress was slow and after a campaign in October 2014 where over 30,000 citizens signed an appeal to the President and Prime minister, the bill was finally passed. 12 months later the Bill continues to languish within the political and bureaucratic process without much interest or urgency to present it in Parliament for enactment. We feel enough time has passed now. Let’s raise our voices once again to urge the government to get the much needed Animal Welfare Bill enacted so that we will have laws in Sri Lanka which protect our animals from the horrendous acts of cruelty they are increasingly being exposed to. What we advise is for you to please write in to the below officials and request they expedite the process so that the animals of Sri Lanka can be protected by law. We believe all sentient beings deserve the right to live without cruelty and suffering in Sri Lanka which is their home as much as it is ours. Writing directly to the below mentioned officials will ensure that our collective voices will be heard. Please ensure you write to all 3 parties below. You can use the same email messaging below and simply update the ‘Salutation’ to ‘Honorable President’, ‘Honorable Prime Minister’ and ‘Honorable Minister’. As you are aware, Sri Lanka’s Animal Welfare Bill which received Cabinet approval on 13 January 2016 is yet to be passed by Parliament, giving it the force of law. We are a compassionate nation and our government claims to be a compassionate government. But compassion needs to be demonstrated through action rather than just words. There is no more time to lose. 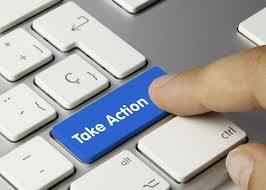 The time to act is now. I humbly request that you do what is needed to speed up the process so that the long outstanding Animal Welfare Bill is finally enacted in Sri Lanka so that it becomes law. Any nation and especially one with our heritage must show commitment to animal welfare and there is no better way of demonstrating that , than by ensuring that this Bill is enforced without further delay. I along with many of Sri Lanka’s citizens would like to create an environment where animal lives are protected by law so that they too have the chance to live their lives in peace in our beautiful country.